Welcome to International Carduelan Society chat page. Your questions and comments are welcome. 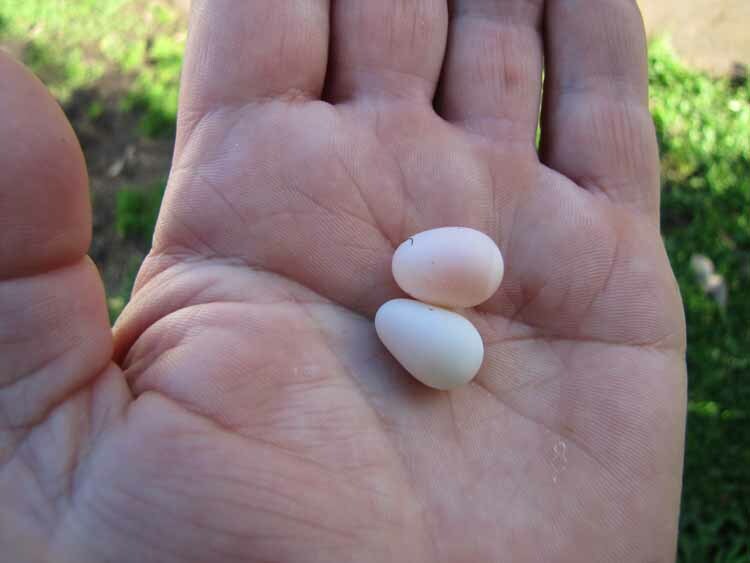 This page has been created to aid in discussion of all problems that bird breeders encounter. Please feel free to submit a question or answer to any of the items listed below. It is envisaged to automate the posting feature here, but until this can be completed (NT restriction), please e-mail your questions, answers and photographs. 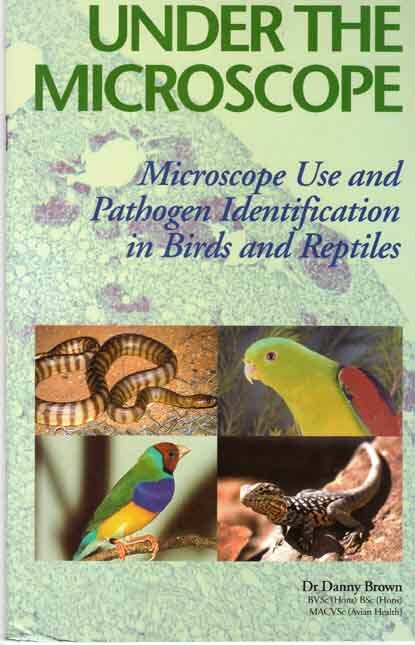 References: Elisha W. Burr's "Diseases of Cage Birds"
This bird has developed many black feathers in its plumage. Is this a disorder or a mutation? 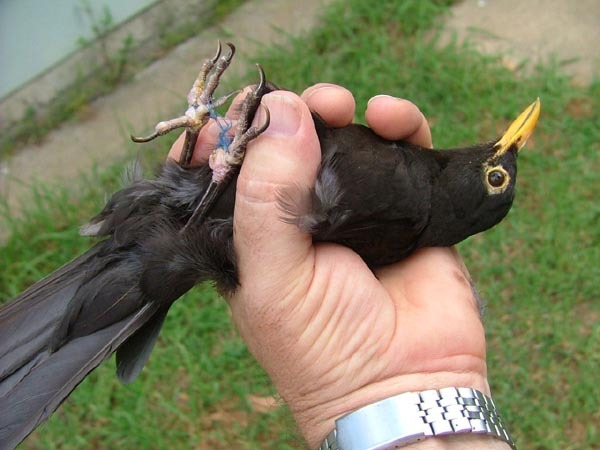 Occasionally, birds develop partly dark or totally black plumage, according to Cornell Lab of Ornithology this is because an abnormal amount of dark melanin pigmentation is produced. 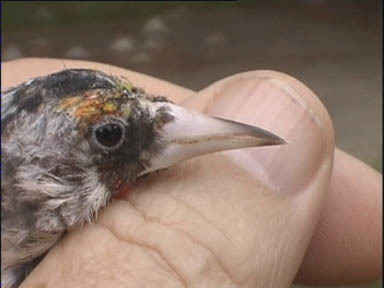 The young Red Siskin with bent feet has died from "Rickets". 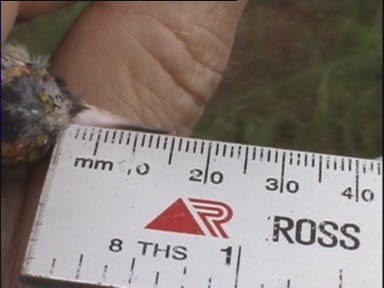 Could Rickets be cured at this stage, the bird looked perfectly healthy? 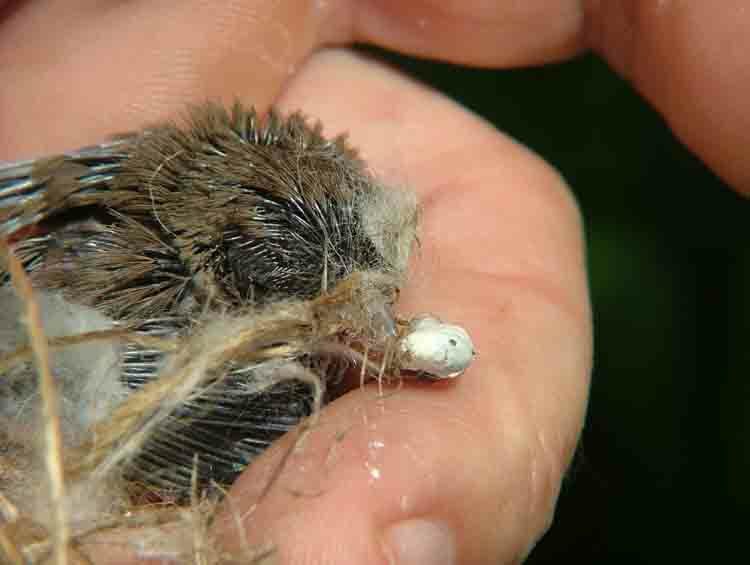 This is the reason why not to give either wild or captive birds synthetic materials to use for nest building. 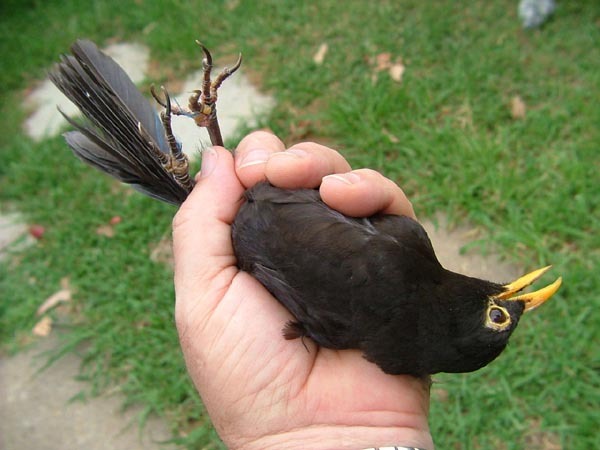 This is a wild European Blackbird I caught after noticing at the feeder something was wrong with its feet. I managed to cut and pull all of the string out. 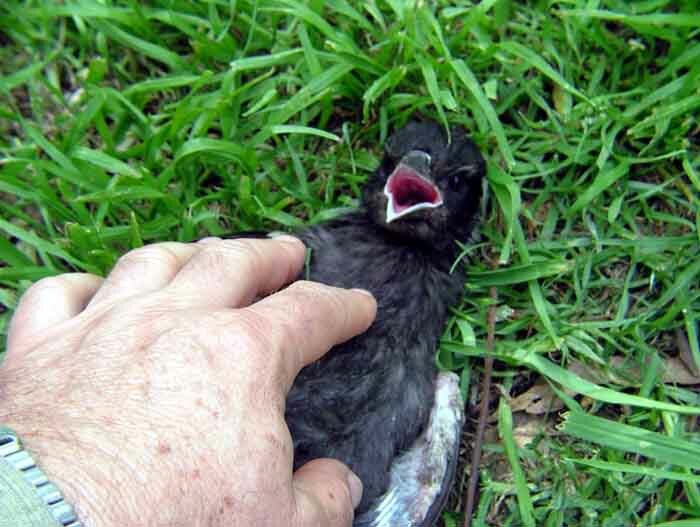 I cleaned, washed, disinfected and applied some ointment on its feet and released the bird. 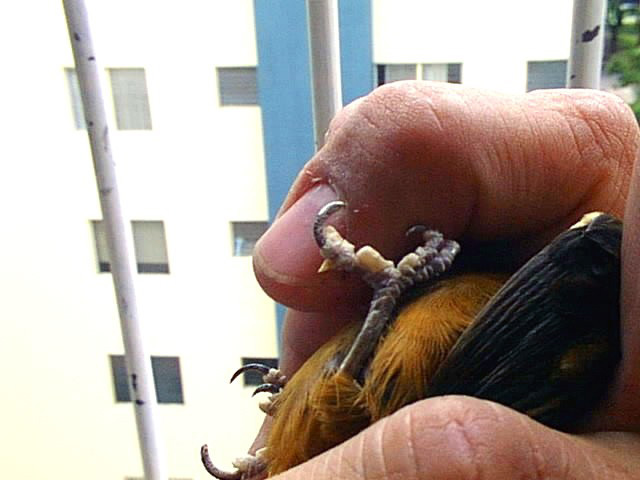 If it survives the first couple of days then I believe its feet will gradually get back to normal despite losing the rear and the inner toe on one leg. 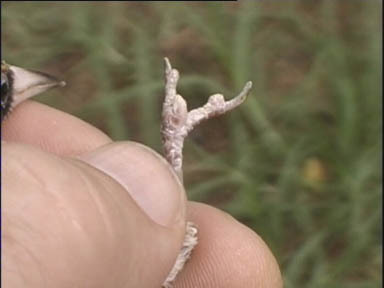 ended up losing part of its rear toe. 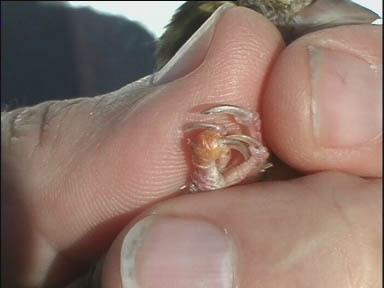 Scaly mites can also infest the area around the eyes or mandibles as in this bird. 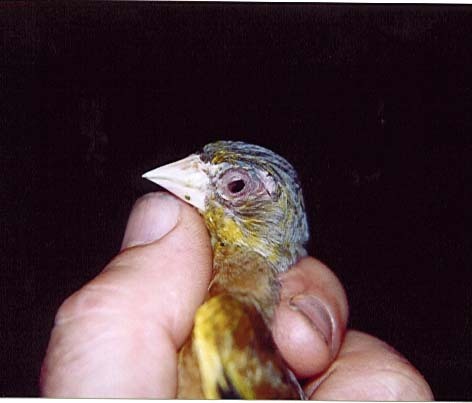 This is caused by small mites and their continuous burrowing activities: side of the beak, head, skin of the eyelids, ventral region and feet are usually effected. 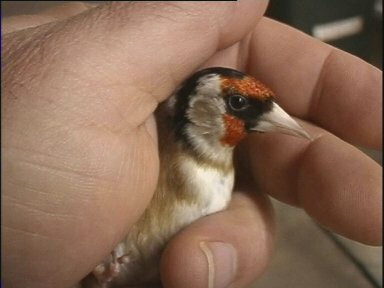 The only birds in my aviaries that I had to treat occasionally were Chaffinches and Goldfinches, fortunately this is easily treated with various preparations like: Liquid Paraffin, dissolved Condys Crystals, any Mineral oil, etc. simply by brushing onto the effected area. Some more expensive medication like Ivomectin will also do the job. About three to four applications are necessary, one every three days. 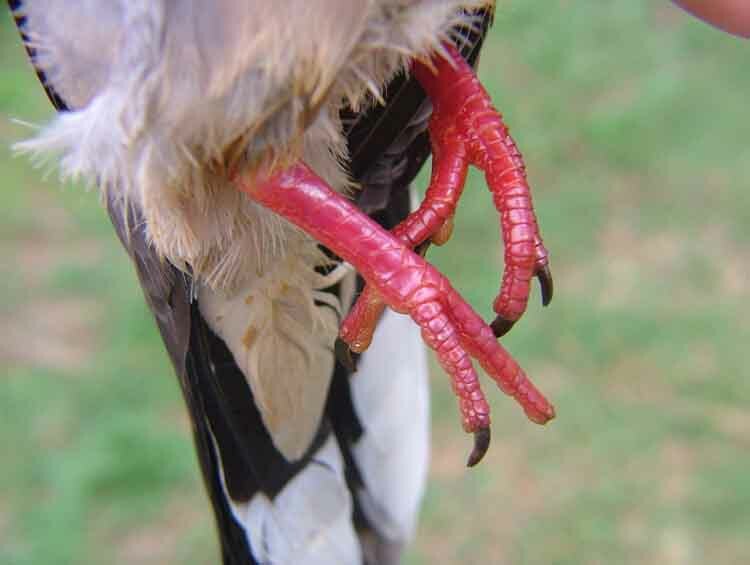 I soak their feet in warm water for about two minutes then wash their feet with soap, soak for another few minutes to soften the skin, pour some disinfectant then cut all the dead skin with small scissors, disinfect the feet again then apply Liquid Paraffin or Petroleum gel. 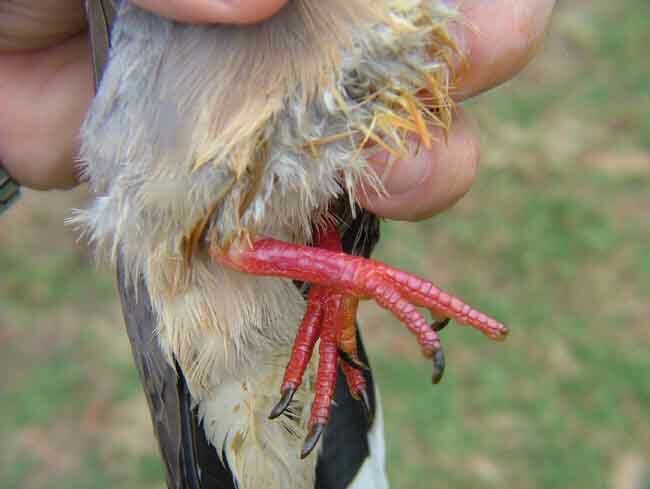 If this condition is left untreated for to long it will cut off blood circulation resulting in loss of toes, or feet. 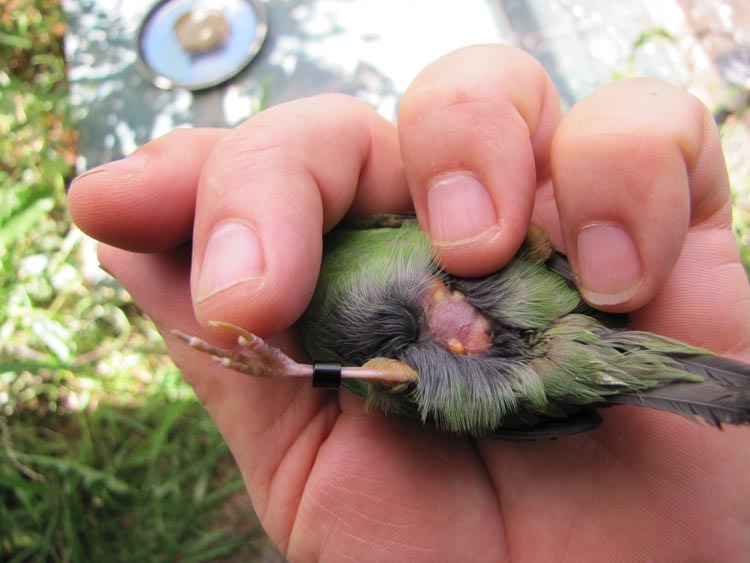 By applying these ointments we only suffocate those burrowing mites who are on the bird but their environment also needs to be looked at. 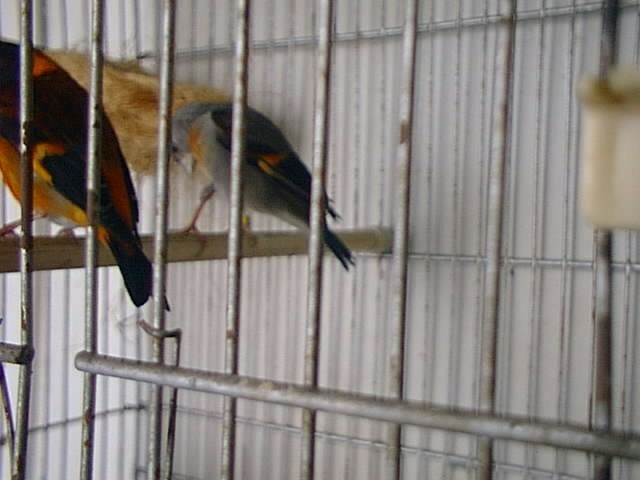 Perches, walls, food and water dishes, cages, floors etc. should also be cleaned and disinfected. If the birds are kept indoors, good air circulation is required. 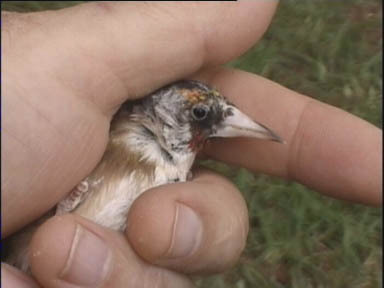 I had young birds with inflated side of the neck before but never as bad as this guy, he eventually died the same day I found him. 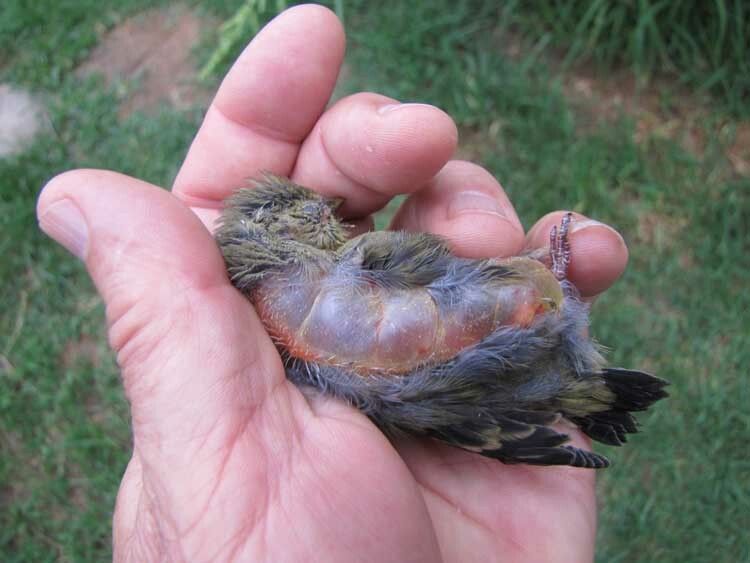 Important to know: Most birds have 9 air sacs. 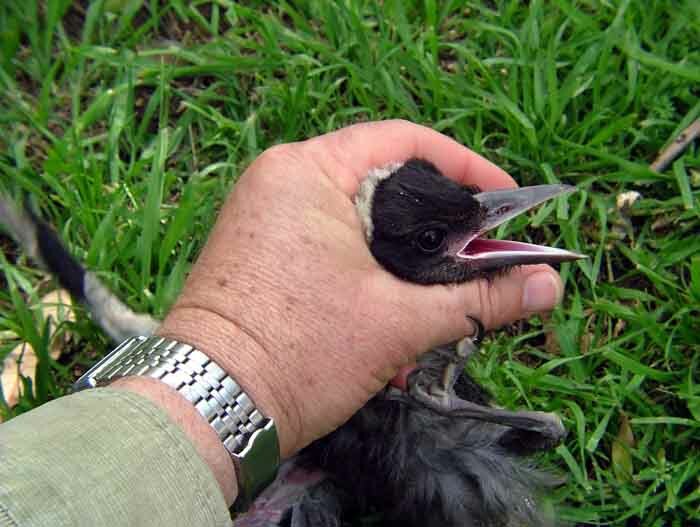 This bird has lost its upper and lower mandible. 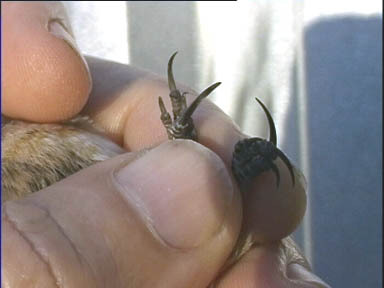 It is important to see an Avian Veterinarian. 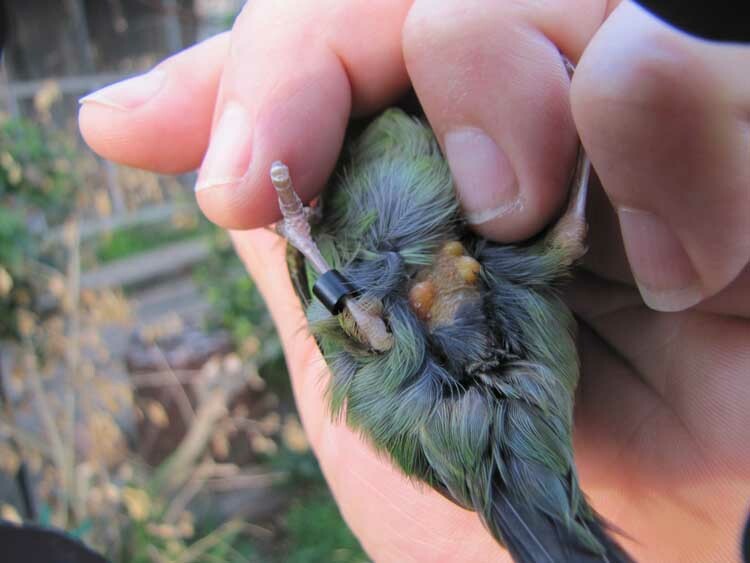 The bird must have had some kind of nutritional deficiency together with fungal or bacterial infection. 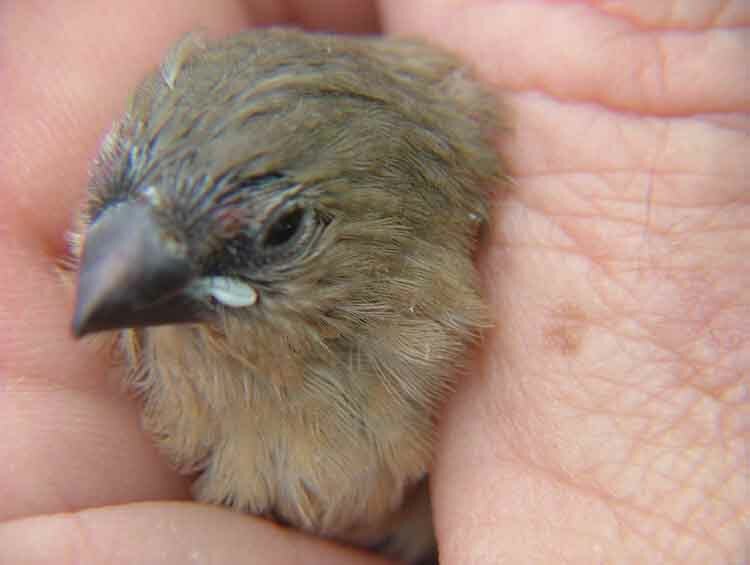 Chaffinches need lots of live food, if can't supply live food why keep these birds? 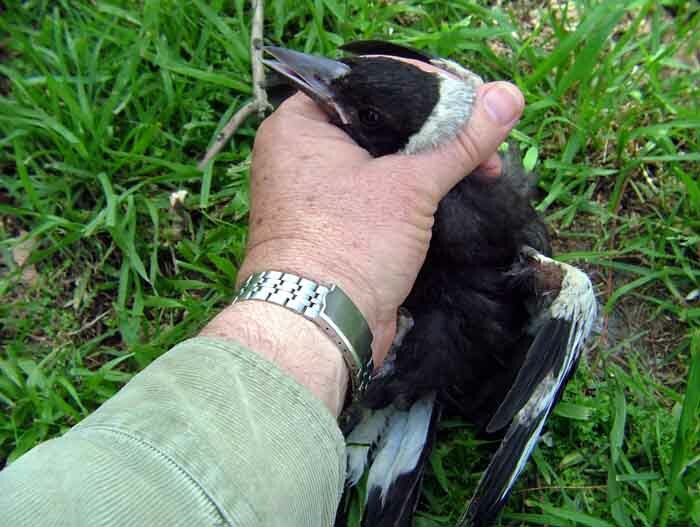 Soft food and live food would keep him alive, until you see the Vet. 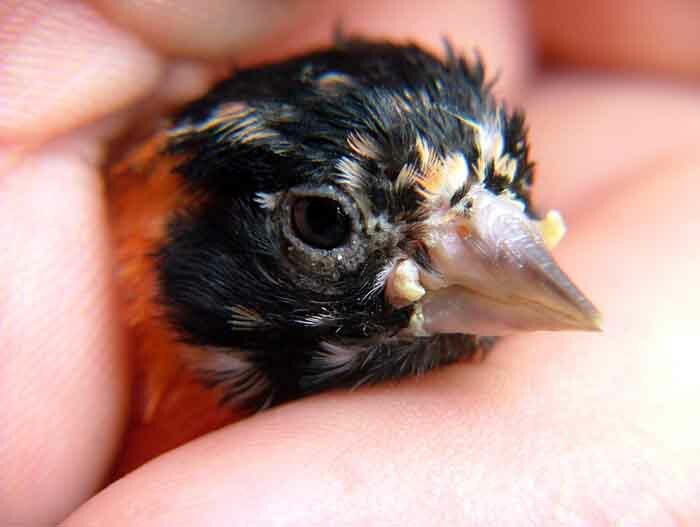 I have this Lined Seedeater with a lump on its head (probably a tumor) could it be removed? 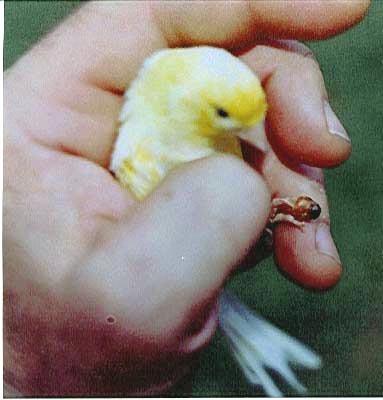 Is is best to see qualified avian veterinarian, see the links below. 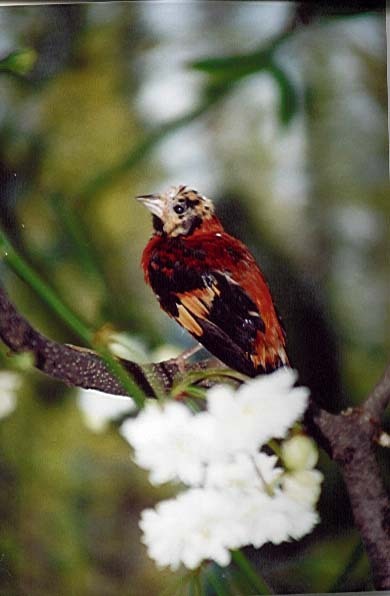 Young Red Siskins died for no apparent reason its crop was still full. 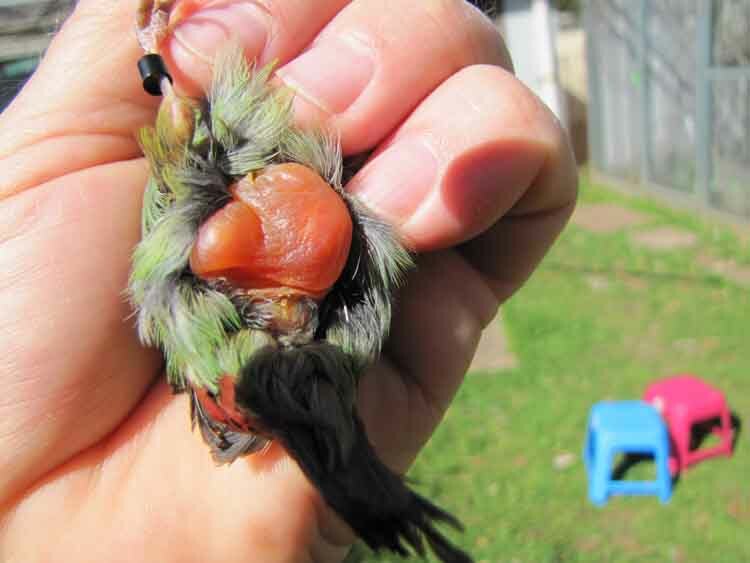 Aspergillosis is the most common causes of respiratory disease in young birds, primarily a respiratory disease, infecting lungs and air sacs, but it can affect any organ of the body by traveling through the bloodstream or by growing through an air sac into the body cavity. 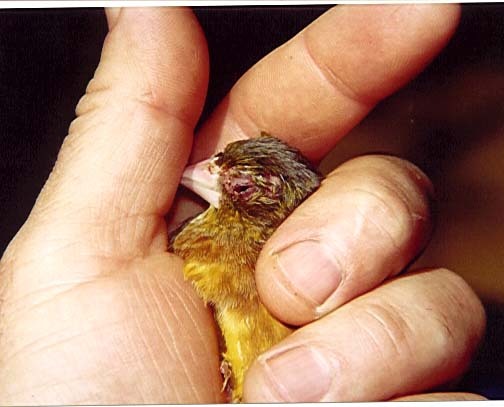 Often caused by stress, malnutrition, vitamin "A" deficiency (common with all-seed diets), confinement/environment, and prolonged use of antibiotics. 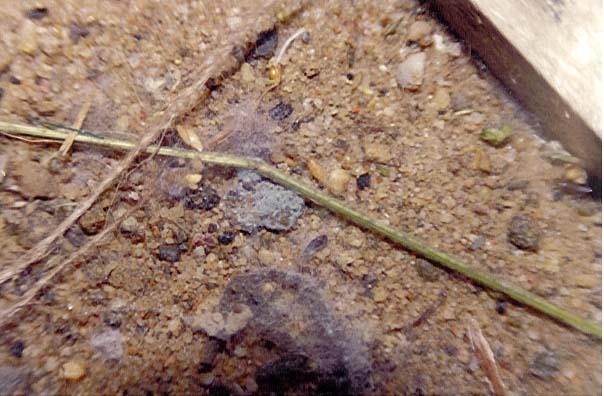 Aspergella, as well as other fungi, grows readily in damp, dark conditions with poor ventilation. 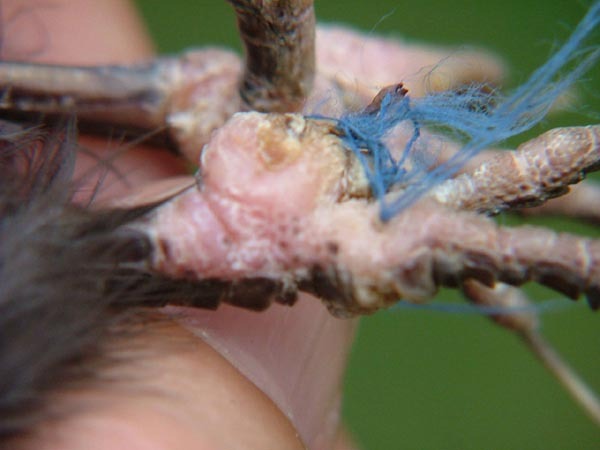 Fungal infections are always related to the environment in which the bird is kept. 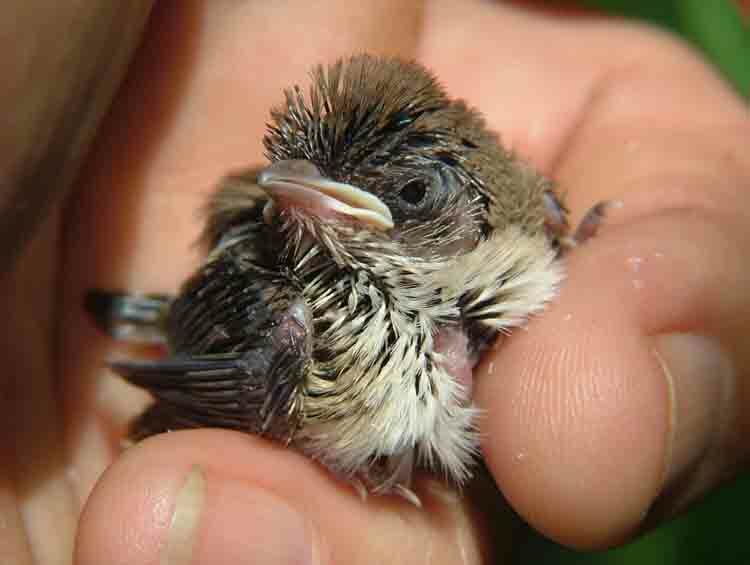 Aspergillosis will kill the young birds in the nest but not necessarily effect the parent birds. 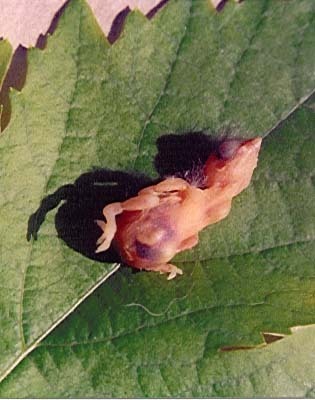 Young birds are often found dead with their crops full. 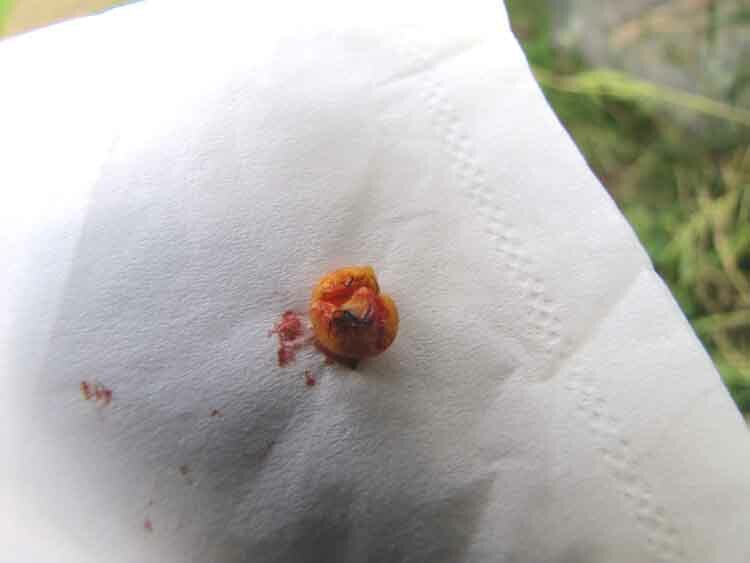 Canker (Trichomonas gallinae) is a protozoan organism that is commonly found in the mouth,throat, gastro-intestinal tract and upper respiratory tract of birds. 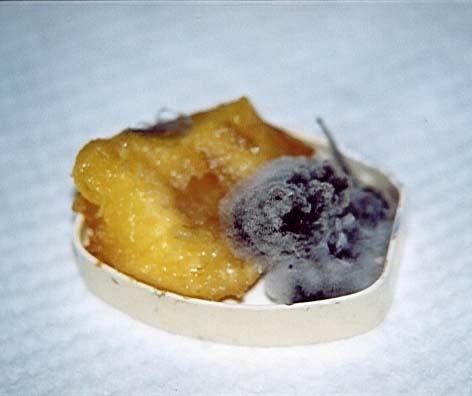 Candida albicans (sometimes referred to as monilia) is a fungus that grows both as yeast and filamentous cells. 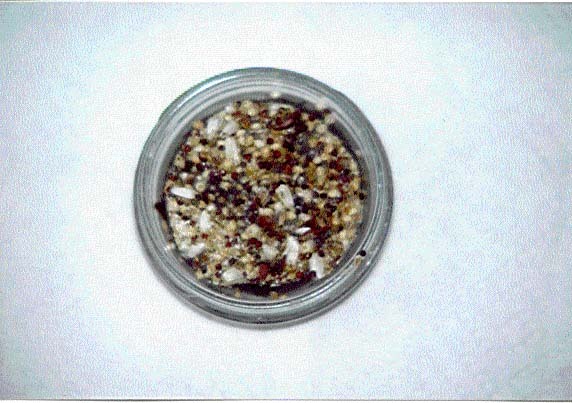 It is normally present on the skin and in mucous membranes such as the mouth, the gut, it can effect any organ in the body. 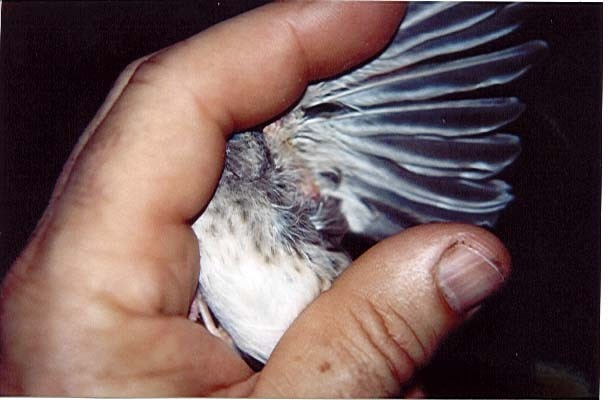 Candidiasis will result in nesting diarrhea of gummy consistency which often fouls the feathers and plugs the vent, the chicks are listless, feathers fluffed up, head drawn back and eyes closed. If possible, use of antibiotics should be discontinued during a candida infection. 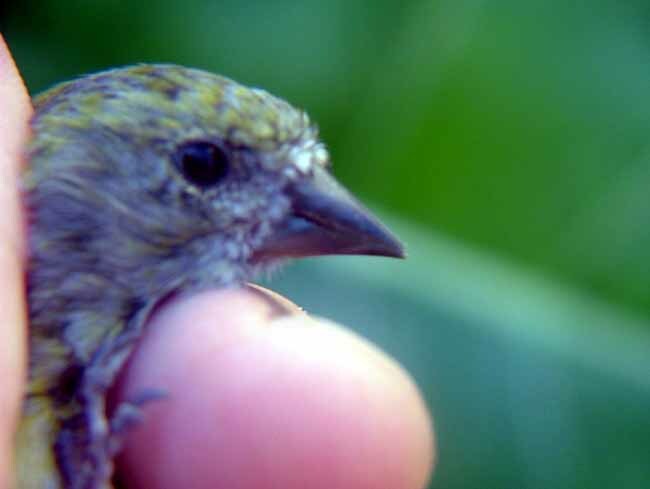 I left four young Siskins in a small cage one Sunday morning out in the sun , when I came back only three were in the cage, I found the head of the fourth about 2 feet away. I suspect a large black and white cat. I would like to catch him, What do I do? Why, or should I ask? Cat are sometimes good to have around the house, they control mice population around the aviaries. See (6) Scaly Face photos above. 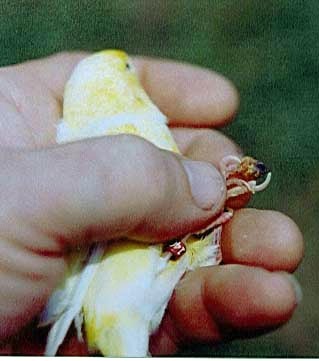 Why are my birds always sick? black light on it. 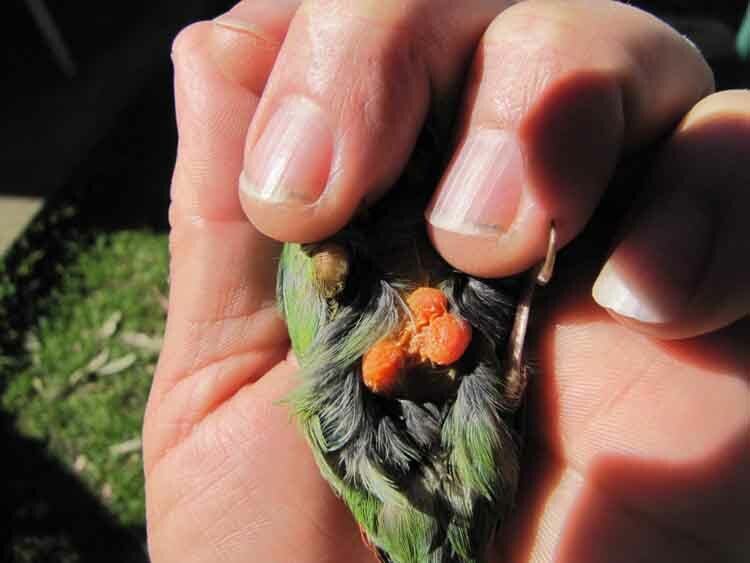 If the fungus is present, the seed will fluoresce green. Soft food and Sprouted seeds. 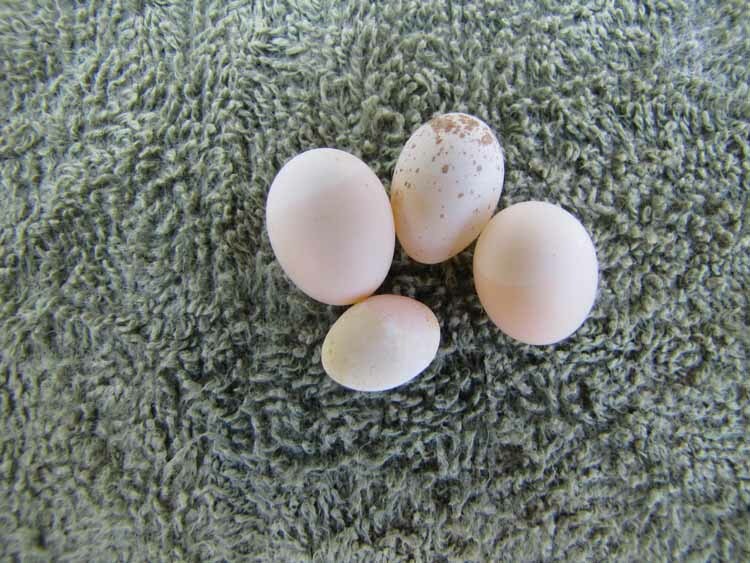 and this is to never leave Soft food, fruit or sprouted seeds over night in Aviaries. 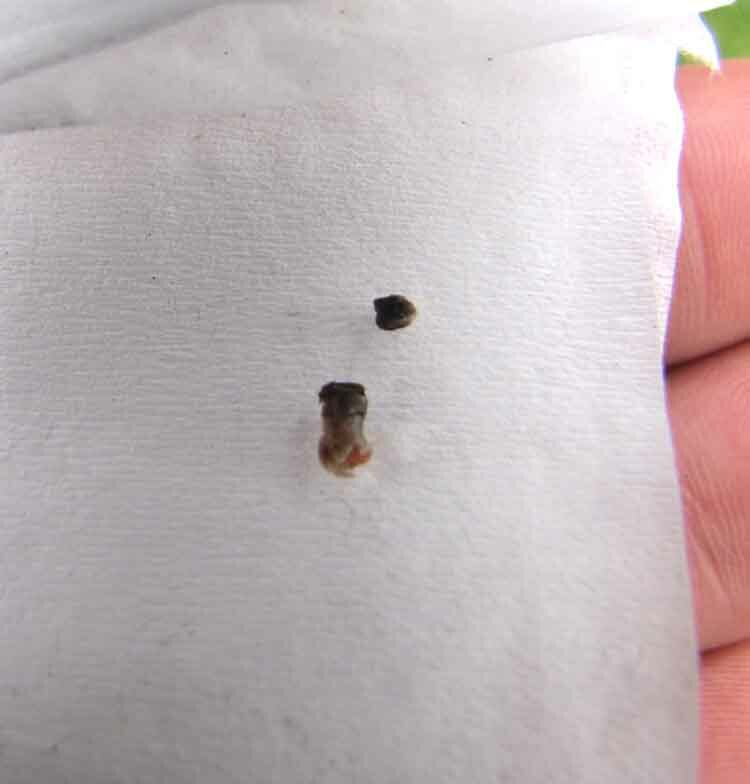 This is the seed I kept for planting, by zooming in with a camera I discovered they were moldy. 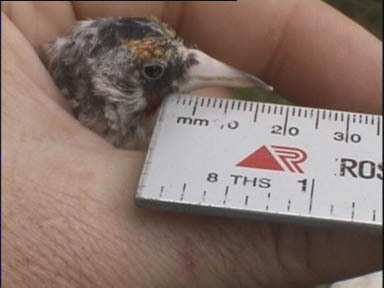 Shouldn't be fed to birds! 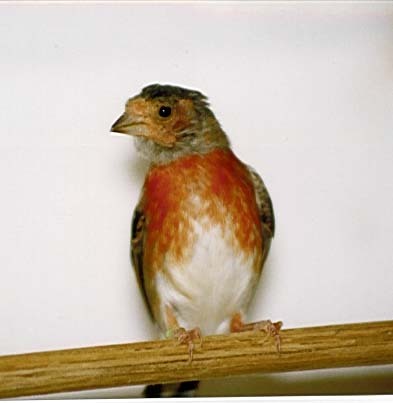 My Red Siskins have molted or are molting (I am not sure). 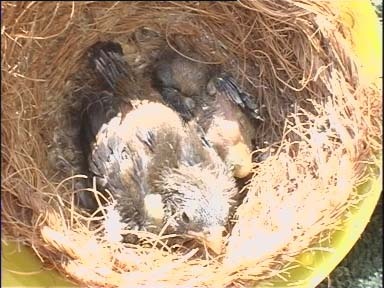 The females have lost all their head feathers. They look in a very bad condition, all the males are OK. What should I do and what should I give them? 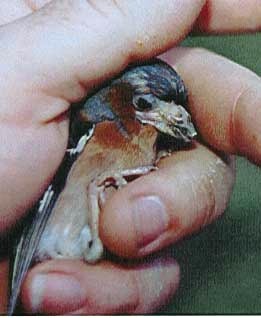 This usually happens to birds kept indoors, I also occasionally see this in my birds. 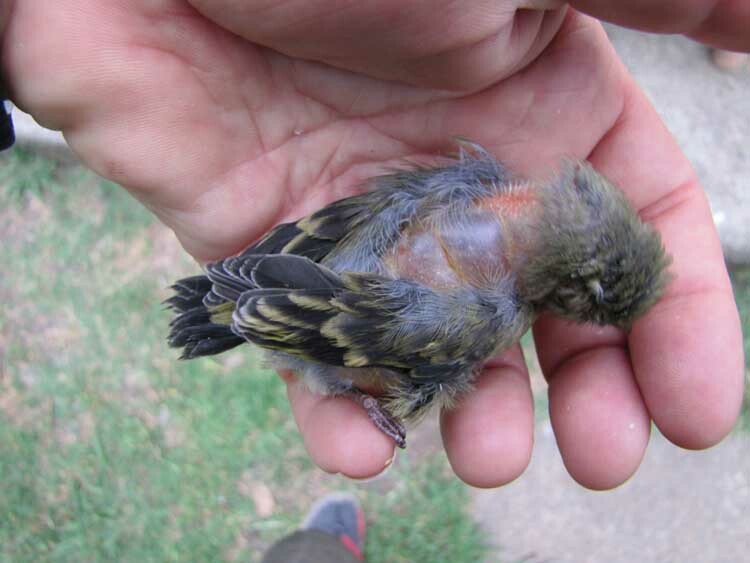 To treat this I take the bird outside and leave it in an outdoor aviary for about three months and it always clears up. I believe, it must be some kind of fungal skin infection or an allergy. 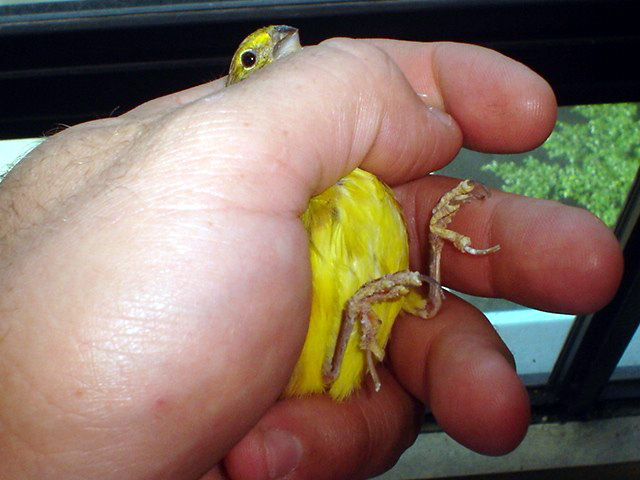 I even at times wash the bird using medicated shampoo, dry it well before leaving it in an outdoor aviary. One think is for certain, they do benefit from good air circulation, exposure to a direct sunlight, sand bathe, clean water provided daily to bathe in etc. 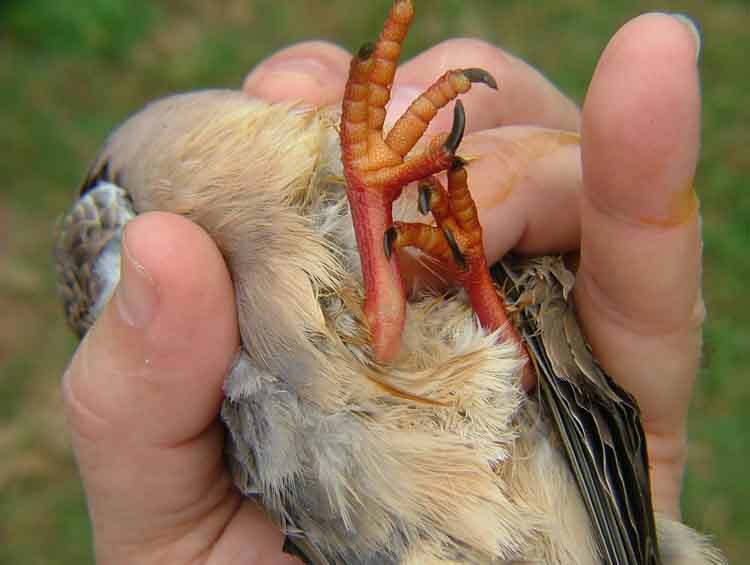 I am not aware of any other proven treatments for birds but there could be, it is best to consult your veterinarian. 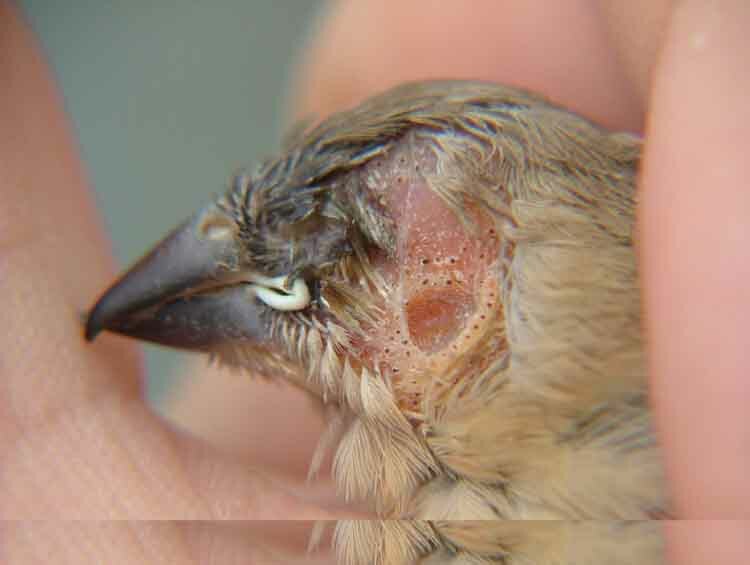 If it's the feather mites that are causing it, you would know it, believe me! 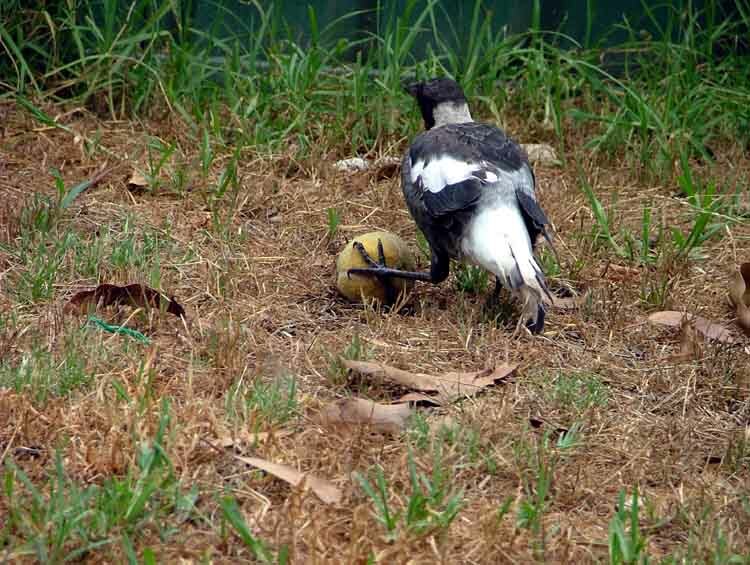 Another possibility is if the male is to aggressive or if kept with other birds that are nesting, the birds will cause this to each other, often bolting out of the nest attacking any bird in the vicinity of their nest, flying away with beak full of feathers. 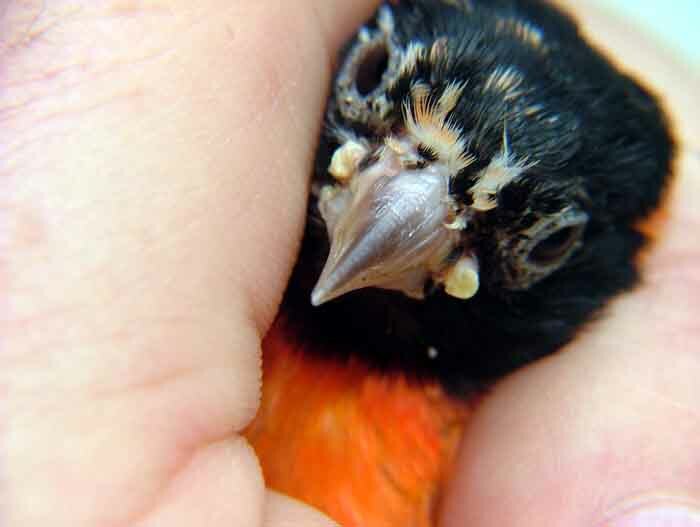 My bird has conjunctivitis what do I do? 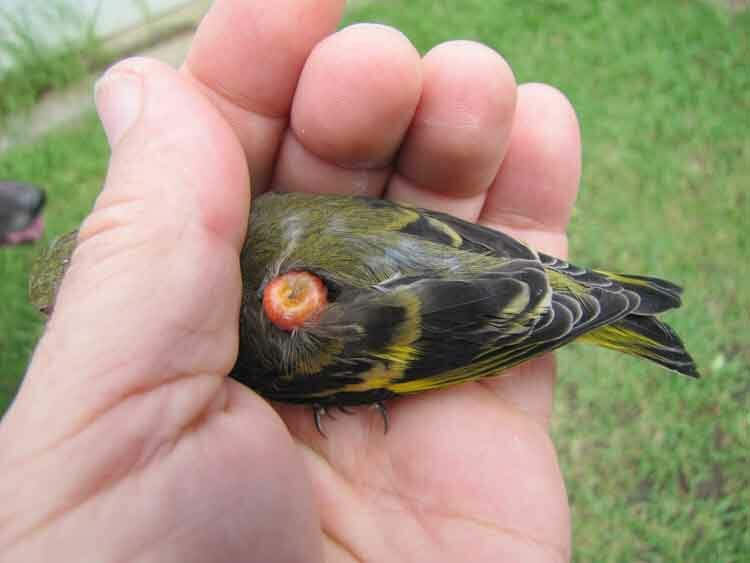 Important: Conjunctivitis in finches can be caused by many bacterial infections, psittacosis, viral infections, spiral bacteria, fungal infections, contact, toxins and so on. 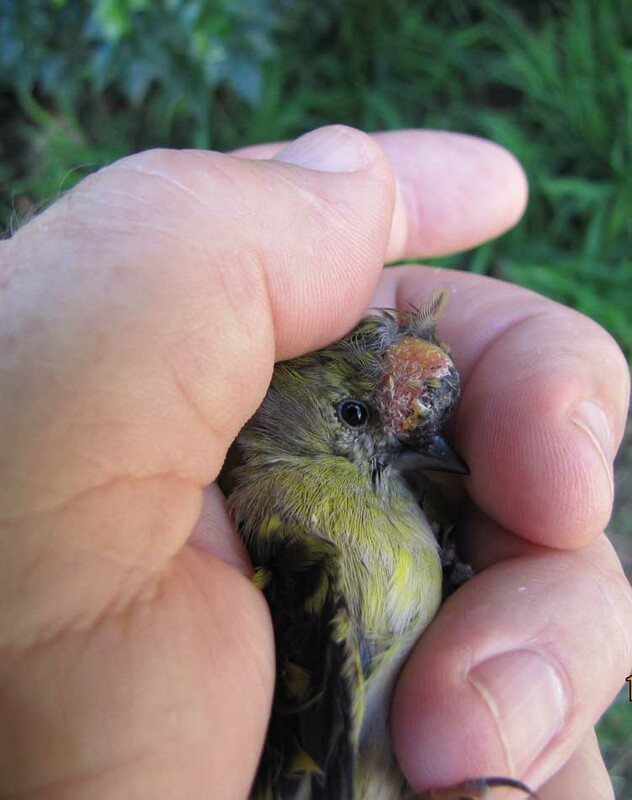 This young Hooded Siskin is a victim of a continues attack by a large European Greenfinch, with an abscess on its preening gland. 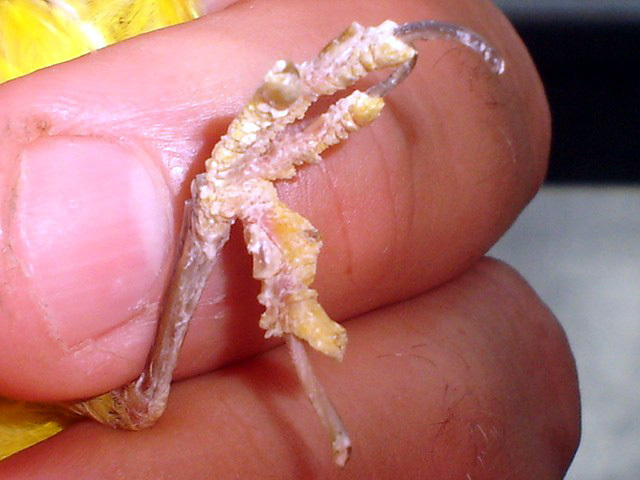 After the swollen joints dry up (from the pus formed around the joints) the wing will drop a little, it will never go back to normal. 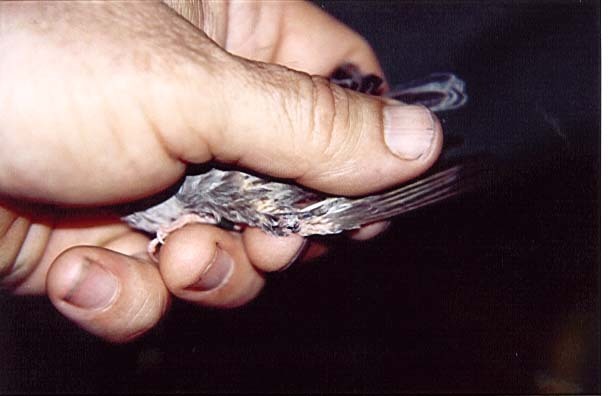 If both wings are effected the bird will probably never fly again. What to you use to control coccidia ? The name of medicine and dosage? There are many medication that will control Coccidia, one of the most popular and probably the best is the Baycox. 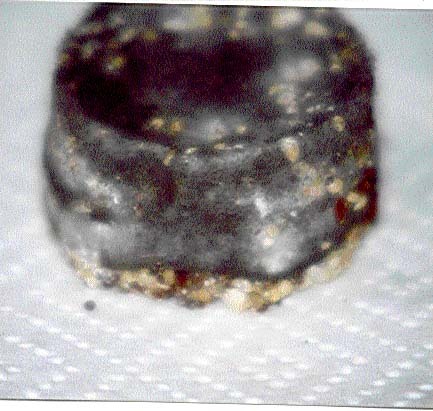 Dosage is 2ml/L of water , usually it is two to three day treatment or until cleared. 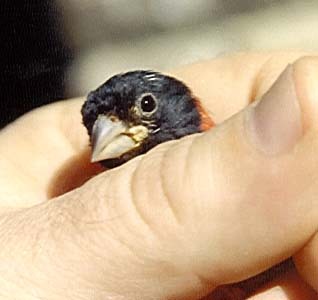 I can only voice my opinion from my experience mainly through reading and keeping birds. In 95% of cases twirling is an infection of the vestibular organ in the inner ear in some cases it is fungal and in some bacterial infection but it also could be viral, parasitic or toxic. 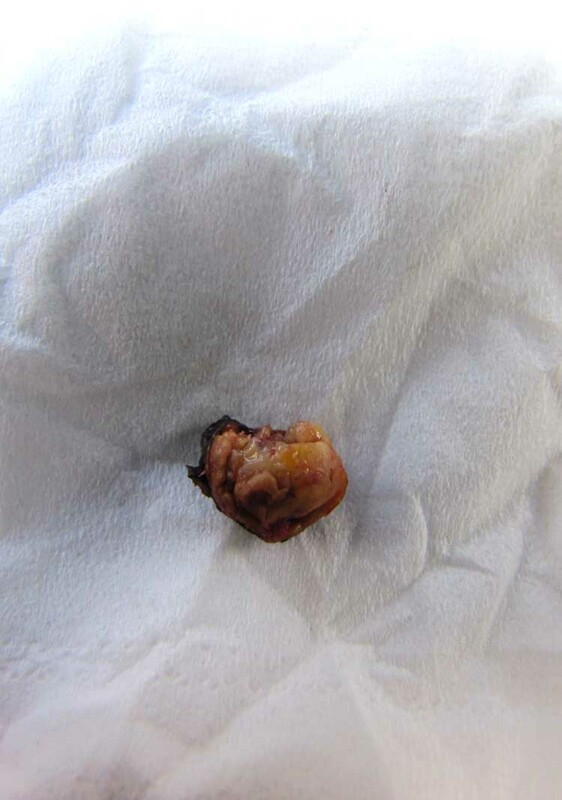 Tumors or lesions of some kind or a good nock on the head could also have the same symptoms. 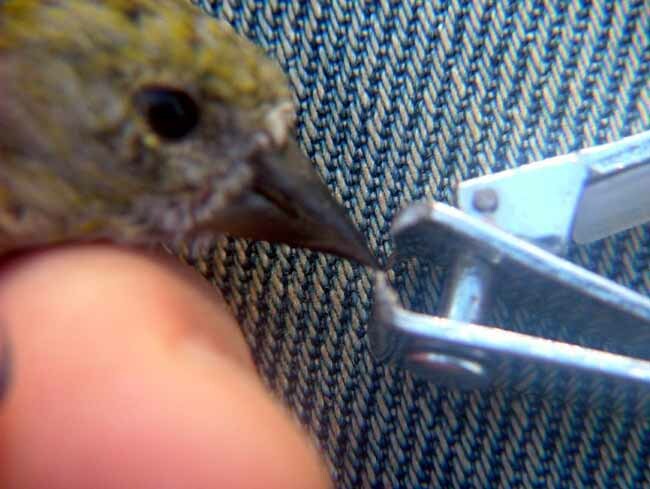 Although Veterinarians and some Aviculturists claim that it can be cured, it is more likely you'll end up losing the sick birds (especially finches) then actually curing them. 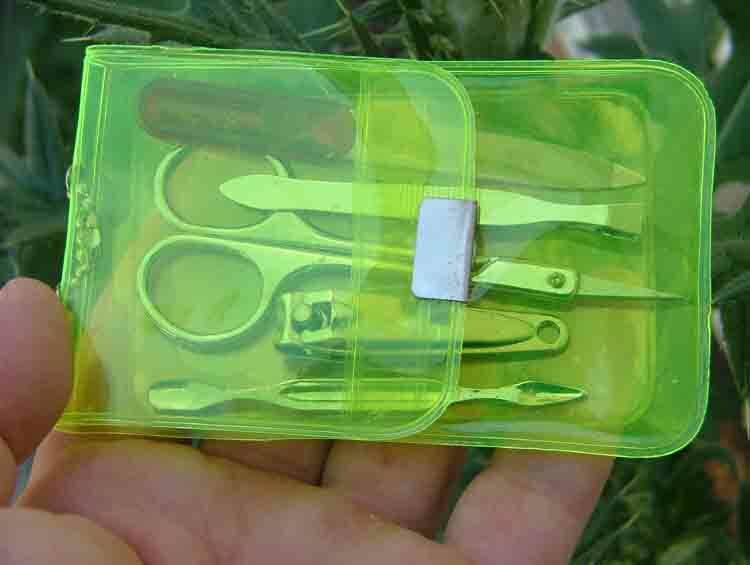 Veterinary Science is improving daily and hopefully soon quick and accurate diagnosis will be possible. 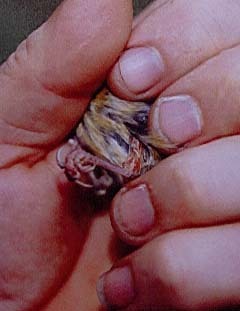 Over 20 year period I had three birds with twirling symptoms, I tried everything possible but every time the bird died. 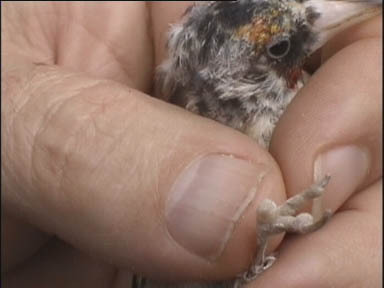 In my opinion if the birds were given proper care, environment and diet twirling would be unheard-off. 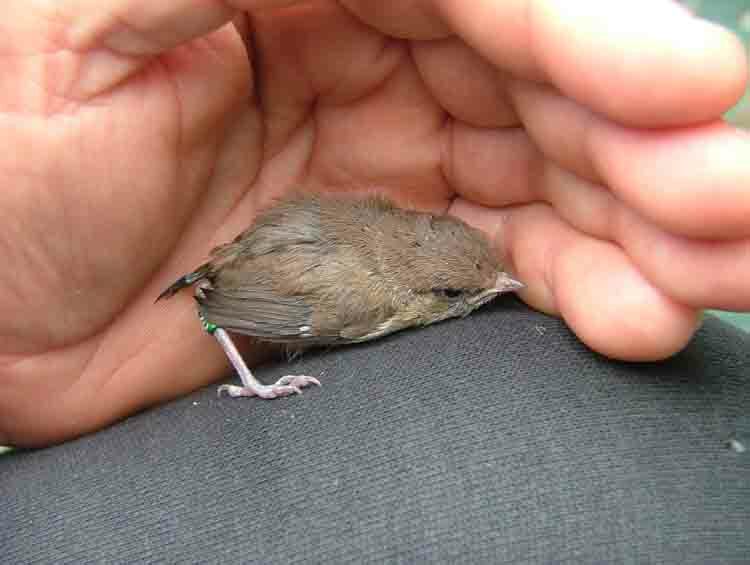 Never ever keep too many birds in a cage or an Aviary. What is too many? 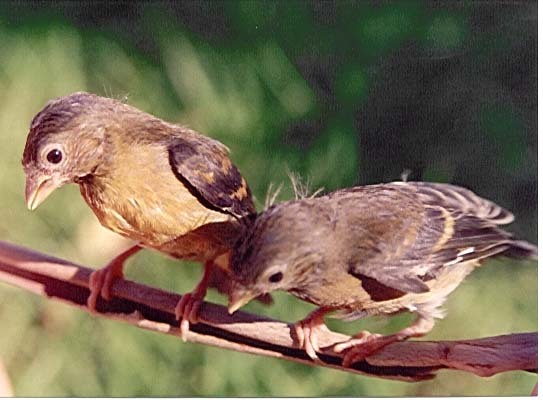 --- More then one breeding pair or more than four young, if kept in a cage. It is important that all heated hospital cages have good air circulation, I find that a cheap computer fans that are available from about $4 each at any computer market are perfect for this job. Air should never be pumped into the cage, air should be sucked out of the cage and two small 25mm (1 inch) square fans are just about the right size for a 700mm x 300mm x 600mm hospital box. 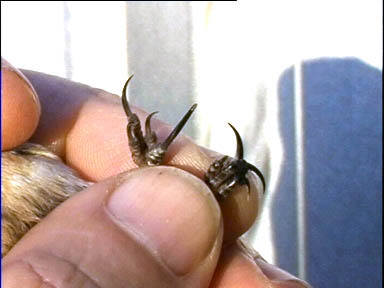 There's a disease known as the "Disease of the Ostriches", the symptoms are: the bird turns its head continuously out of control or it drops its head between its legs and eventually dies. 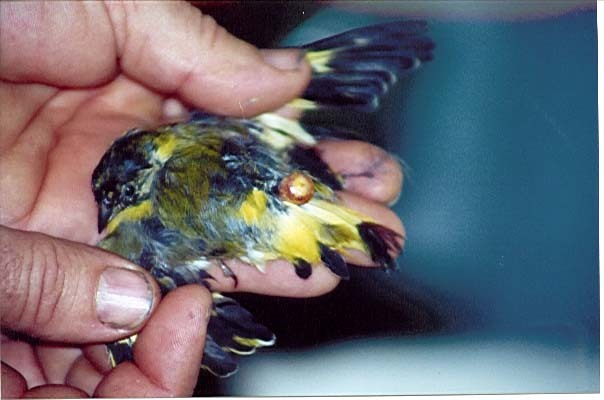 In French language it is called "Encephalomalacie", the birds must have eaten large amount of rancid seeds, and the only thing that can save some birds effected is by tripling the normal dose of the Vitamin "E". 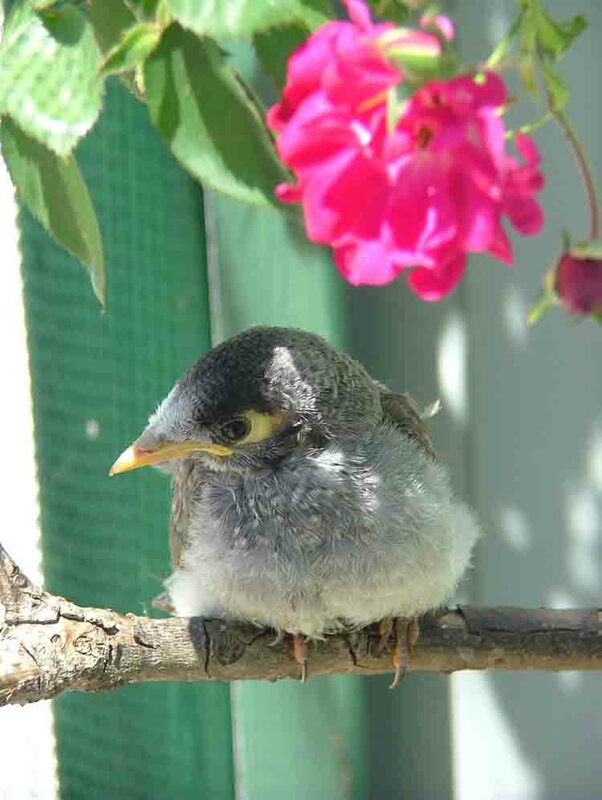 The Vitamin drops should be given at least every two hours, some soft food like egg and biscuit should be offered and some fresh clean seeds, the birds should be kept worm at about 28 Deg. 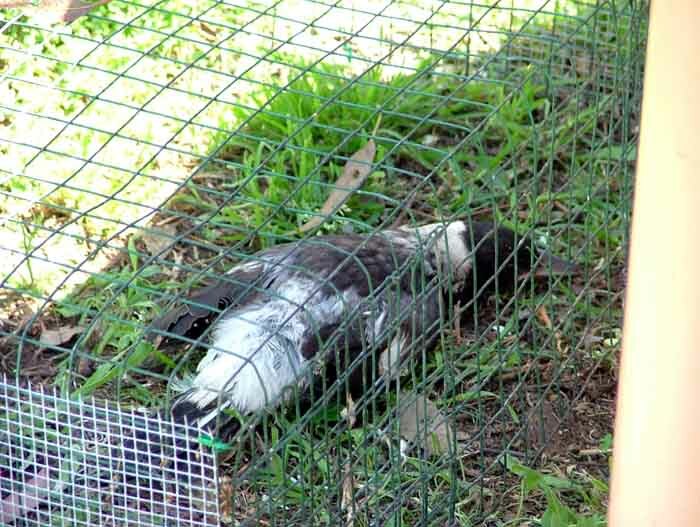 C.
I saved more than 50% of imported birds which were kept in cages for long period of time, but this disease is very rare if the food given is clean and changed regularly and their cages are kept clean. 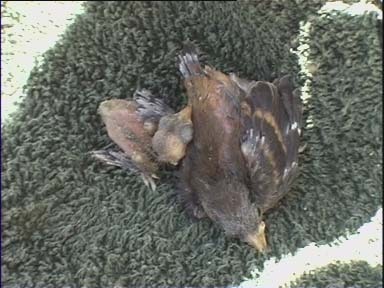 Photos taken on the 12/12/02, the chicks are about 10 days old, hatched one day apart. evenly overgrown and had to be trimmed on regular basis. In most cases it is either the upper or the lower mandible that need trimming. 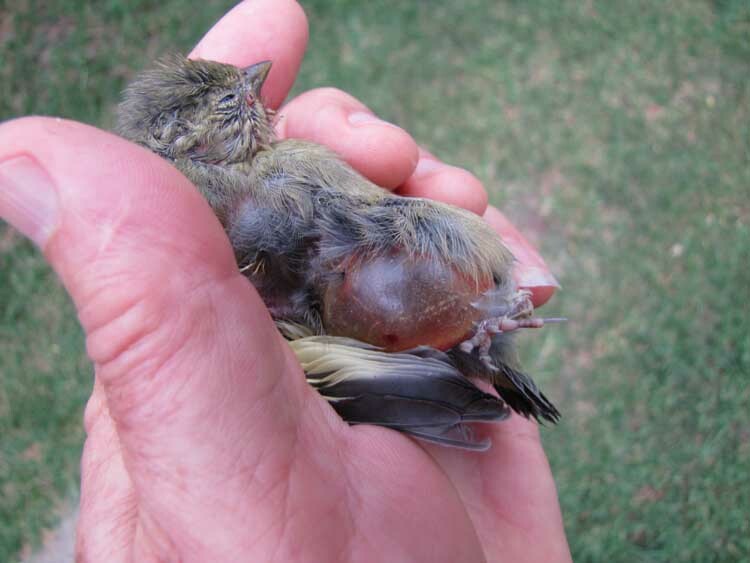 Birds in this condition cannot feed properly and often die from starvation. 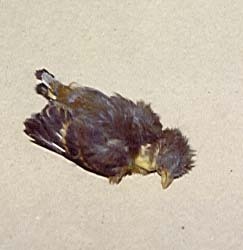 I found this bird in a bird-shop, it was in poor condition. 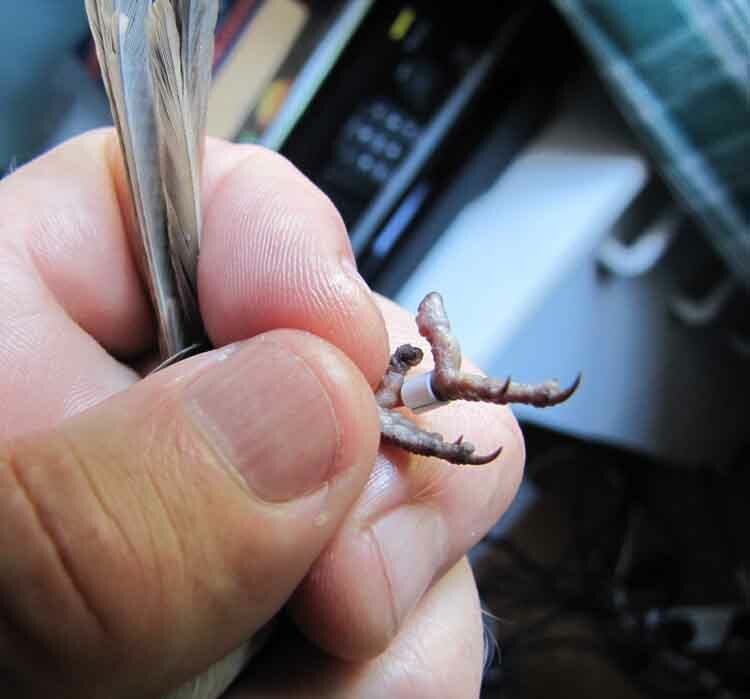 This bird (male) recovered well and now it looks like a normal Euro. Goldfinch. 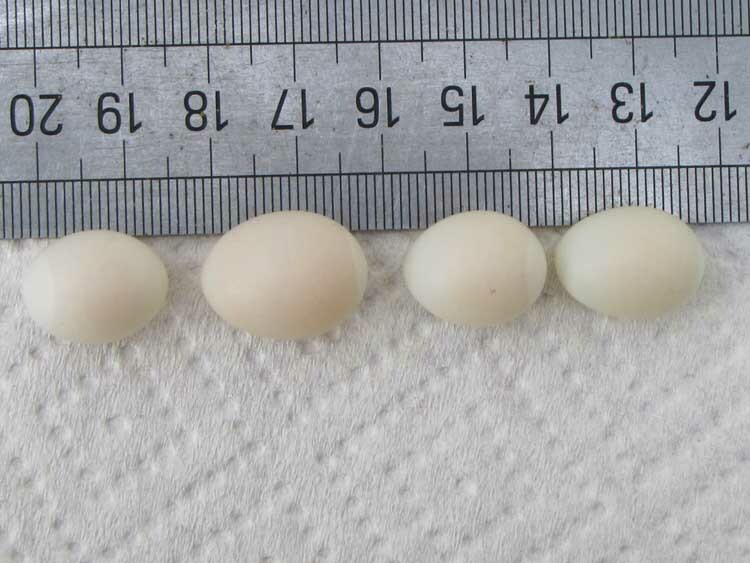 The most common cause of egg binding is lack of calcium in the diet. 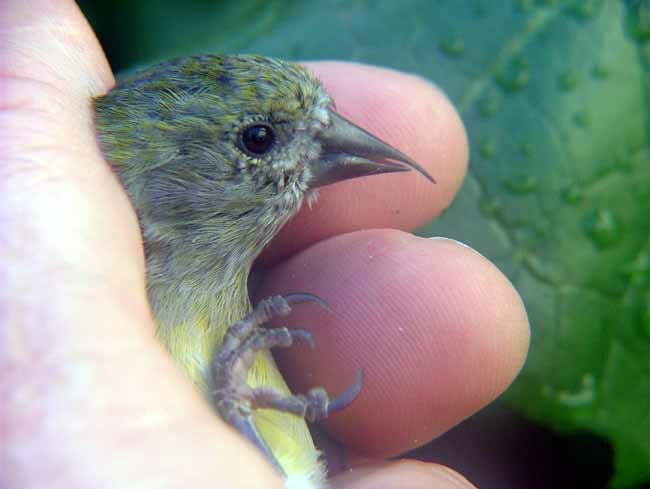 When I walked into an aviary in which I kept a pair of Hooded Siskins, I saw the female sitting on the perch breathing heavily. The first thought was that it must have had some nasty infection from eating something bad, like paint, lead etc. 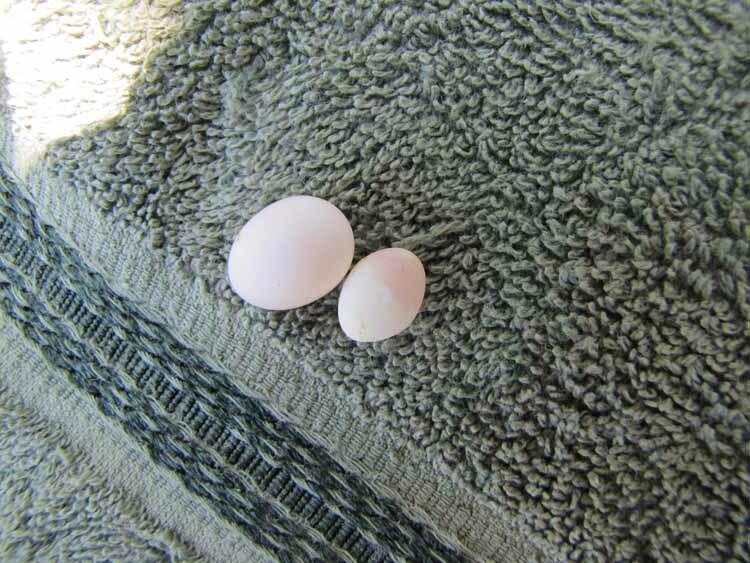 I looked at the abdomen, it was swollen, I wasn't suspecting egg binding, so I refilled the water dish to which I added "Triple C". 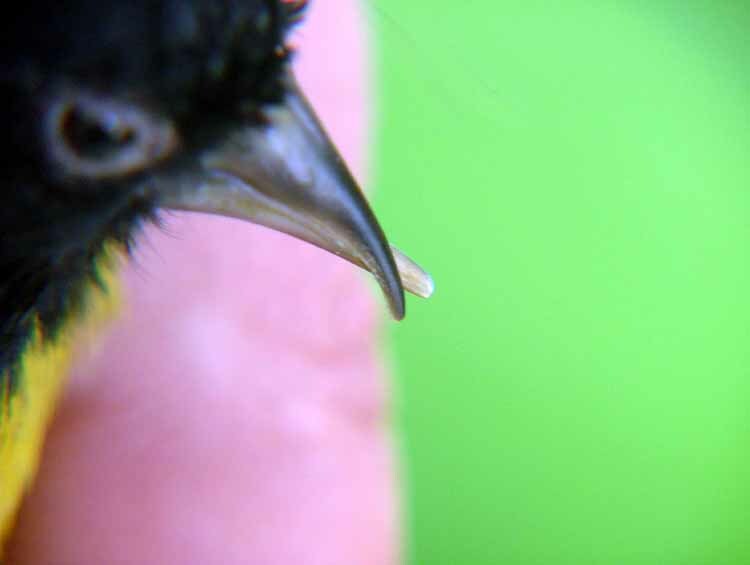 I gave the birds three drops directly into the beak and walked out. I returned in about an hour and the bird wasn't much better so I gave her another couple of drops of medicated water thinking 'this bird is a gonner'. 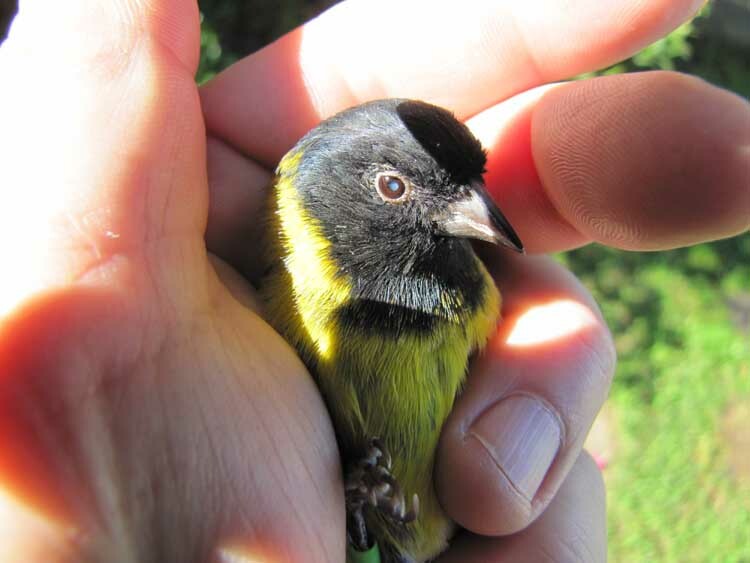 The following morning I found the bird perfectly normal, flying from perch to perch, assuming 'whatever it was the medicine must have done the trick'. 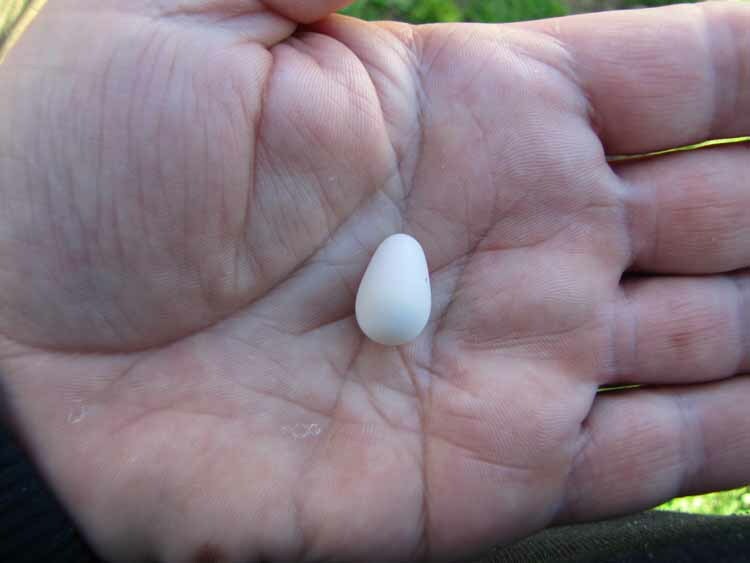 As I was walking out of the aviary I saw something white on the floor that looked like an egg, I picked it up and yes that was a soft shelled egg that I haven seen for quite some time in my aviaries. 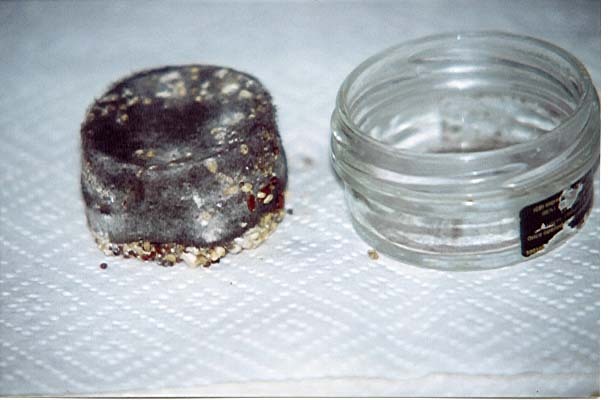 My treatment was; I refilled the water dish to which I added Calcivet, I also added few drops of Cod-liver oil to the seed mix as well as adding some egg shell and new chunk of Cuttlefish bone. Green food like the seeding Grasses and Lettuce are provided daily. 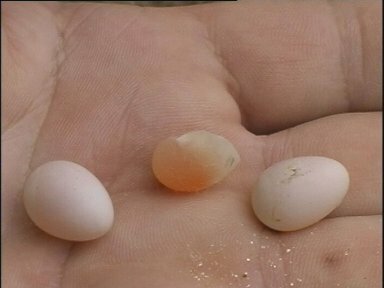 The bird fully recovered resuming laying a clutch of four eggs. 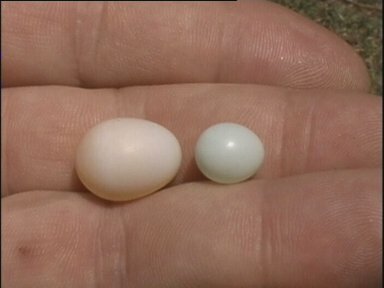 Inability to pass an egg can be very serious, without treatment egg binding can result in a very painful death . 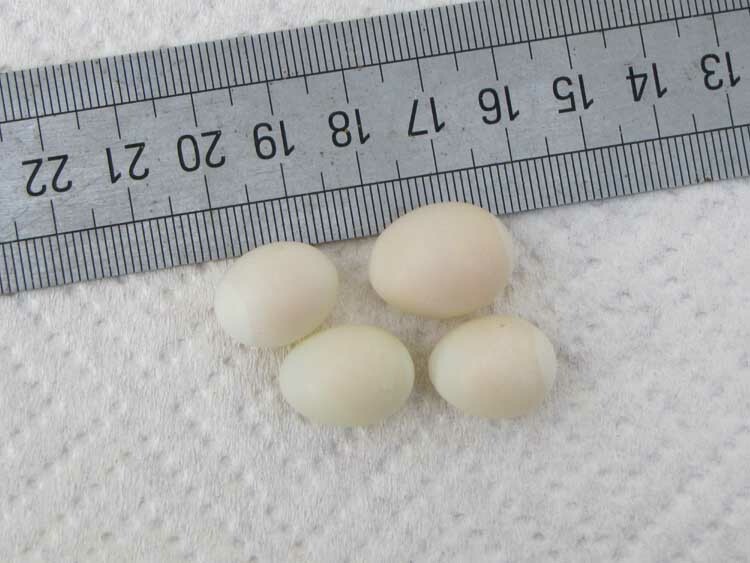 Normal eggs are 17mm x 13mm, and in the last two photos one of the young Red Siskin laid very small unsymmetrical egg. Now he spends all day foraging for insects and playing with his tennis ball. 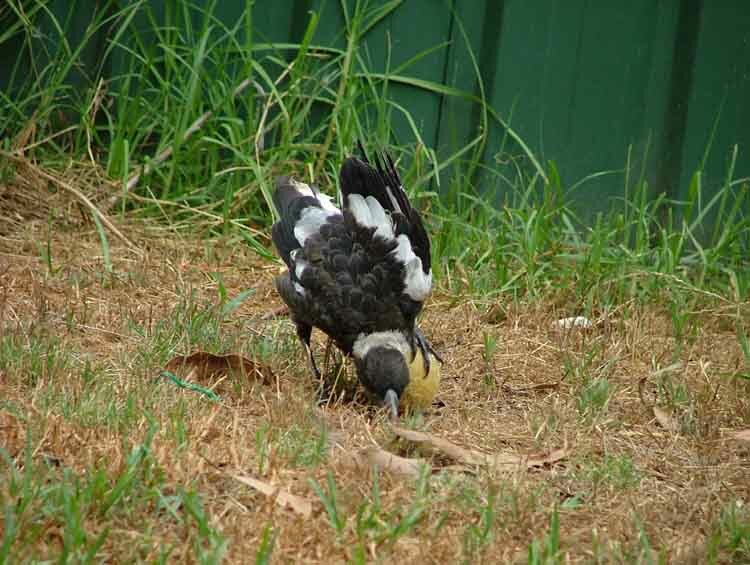 Feeding an orphan bird like this Australian Magpie can be demanding and very tedious job. 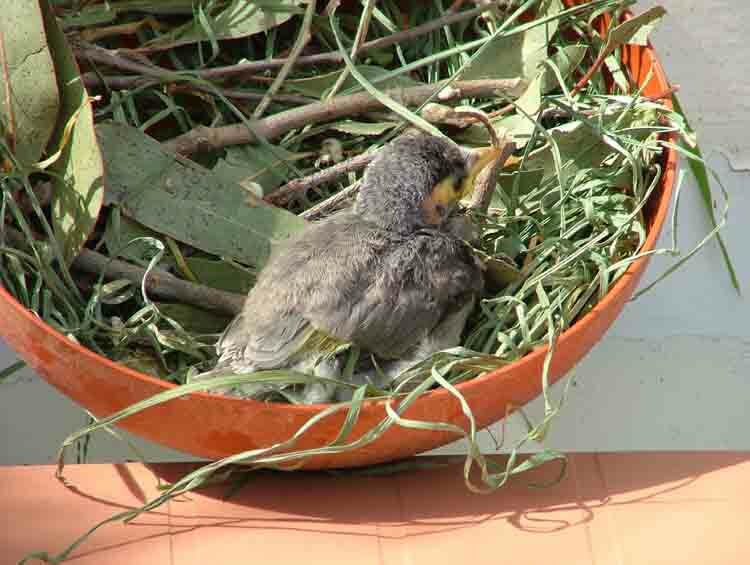 This young bird could not fly when I found him, was repeatedly been attacked by both parents while begging for food. 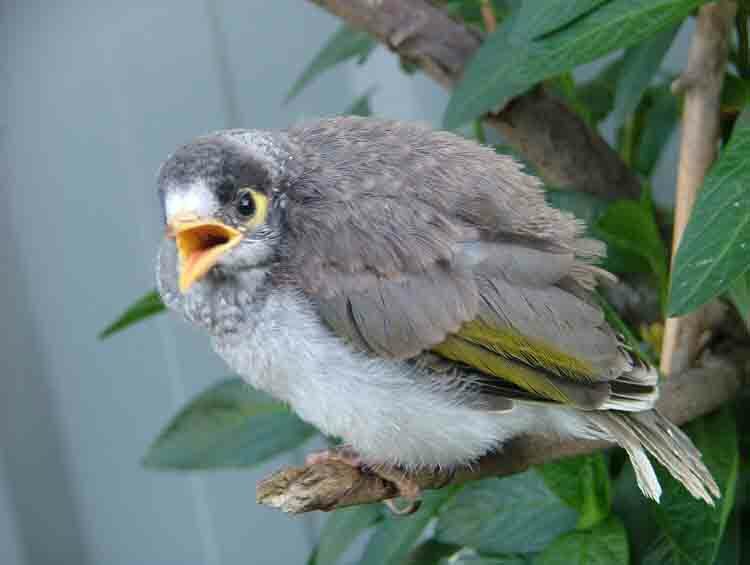 I think they must have had a new clutch of young in the nearby tree. I do not normally mix medication or vitamins and I do not remember of anything similar happening to me. 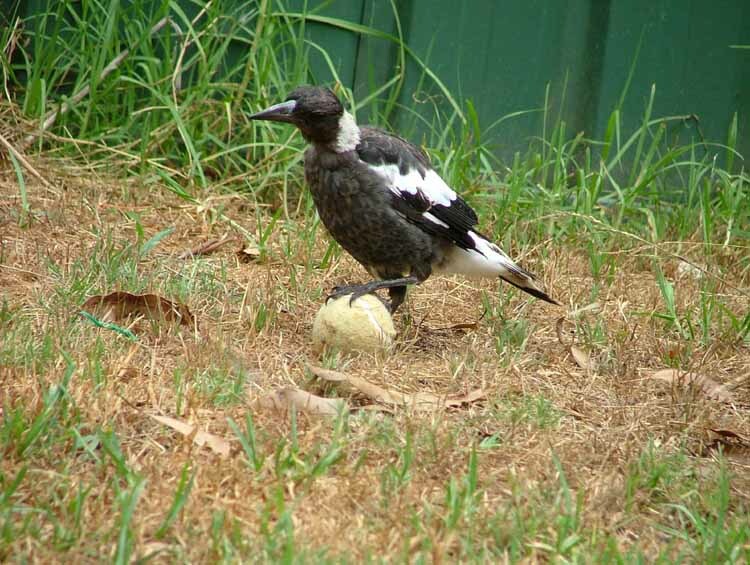 On the 17/Jul/04 I decided to add some vitamins with some electrolyte in drinking water and by the time I walked out to get some green lettuce some of the birds were already staggering holding onto the wire. 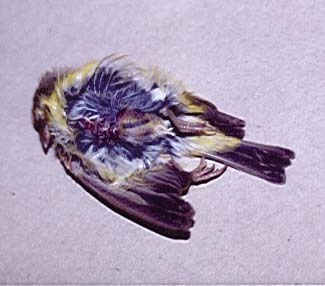 I thought that was strange but I walked out again to wash and refill the dishes with sprouted seeds, within less than 5 minutes I had 8 birds dead on the floor. I realized immediately that I must have poisoned the birds so I quickly emptied the water dishes and removed the lettuce leafs. I called the Veterinarian and he also suspected some kind of poisoning. Whatever it was it done the job well. 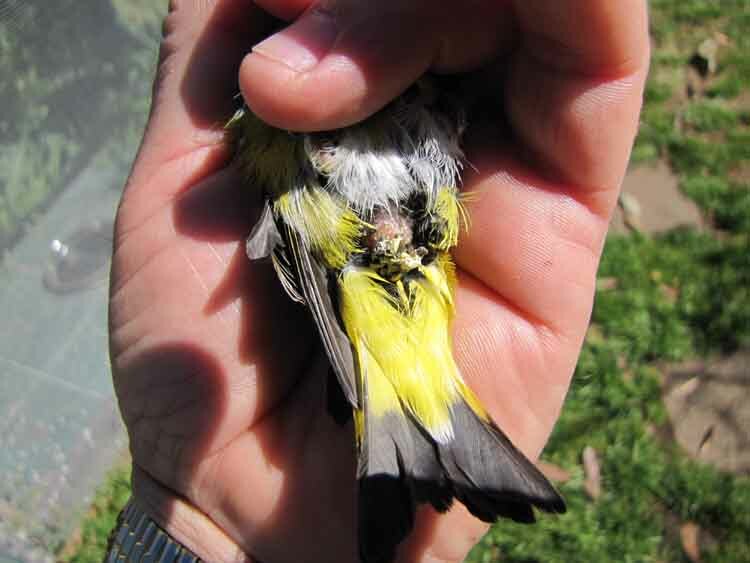 All of the birds were in perfect health prior to this incident. 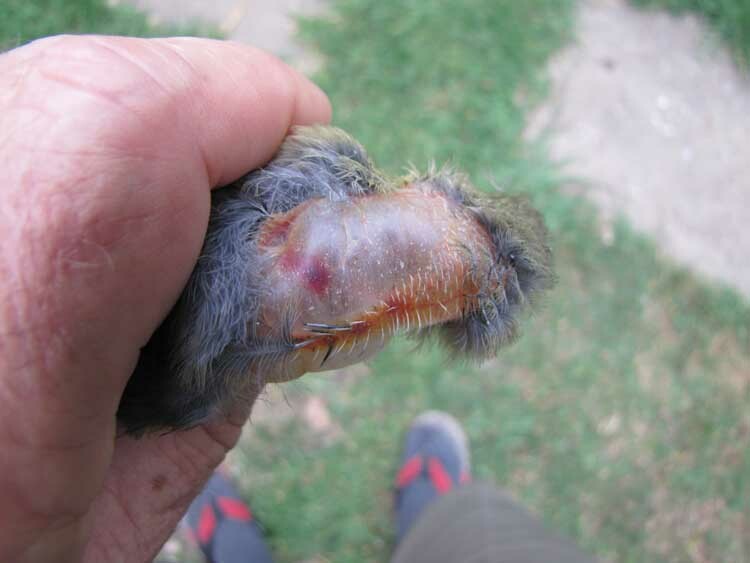 My local Pharmacist who had similar experience with his pigeons thinks it's the overdosing with Electrolytes that caused it, if anyone has a thought or a comment about this please let me know! I stopped mixing vitamins and the electrolytes and I haven't had a problem since. 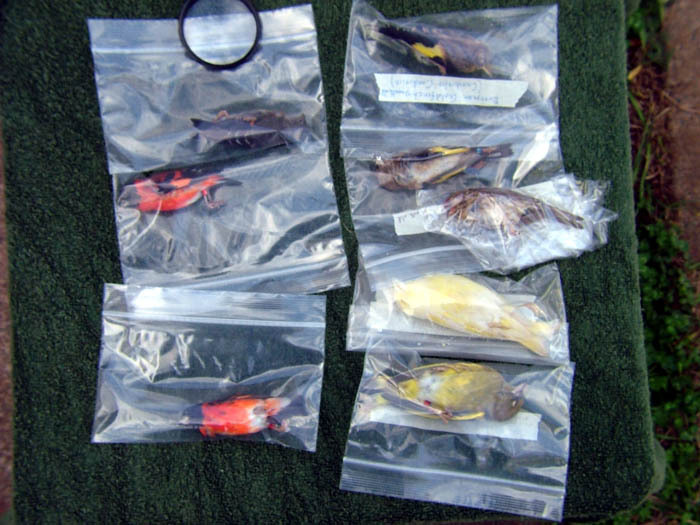 Other finch breeders might have poisoned their birds unknowingly just like I did, meaning well. 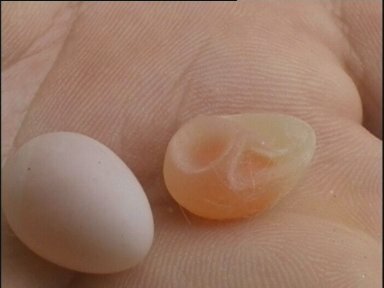 I first noticed this several years ago with young in the nest dying every time I mixed vitamins and electrolytes in water. 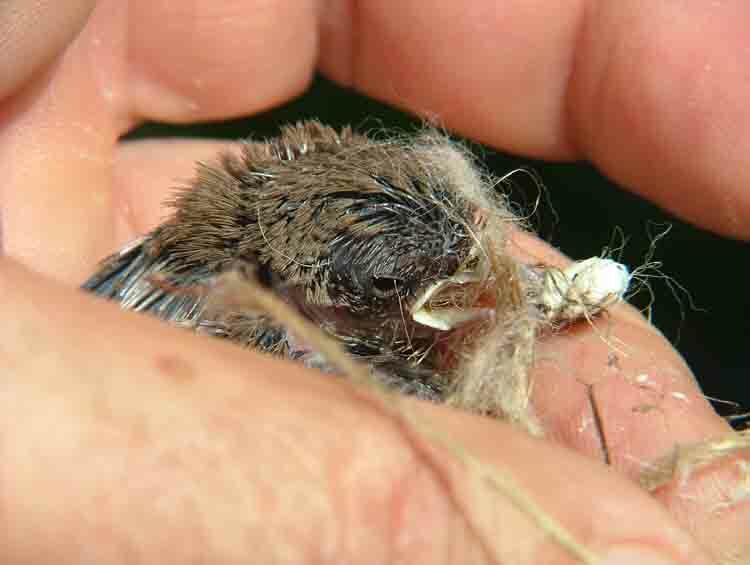 Young Grass finch, with face disfigured and crossed mandibles, and a normal Grass finch. It is not clear what caused it, if it's proven to be genetic then the parents should be separated. 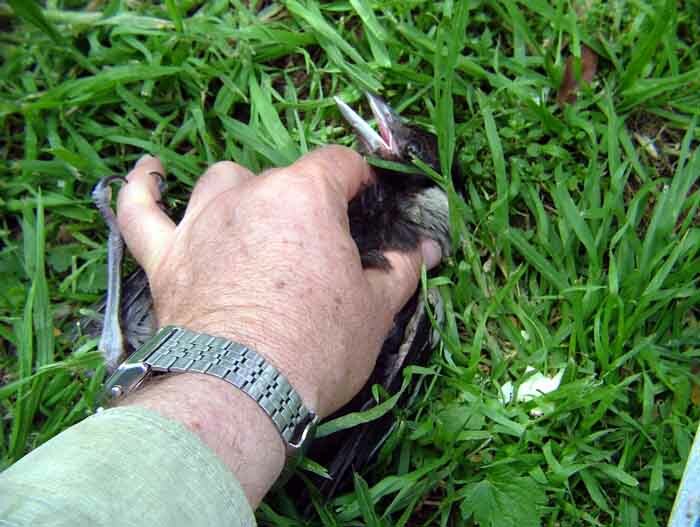 If it happens again and if it's proven that one of the parents did this then that bird should be replaced. 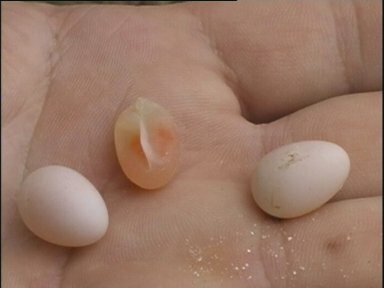 Then again, it could have been accidental at hatching, an insect or another aviary bird could have done it, etc. 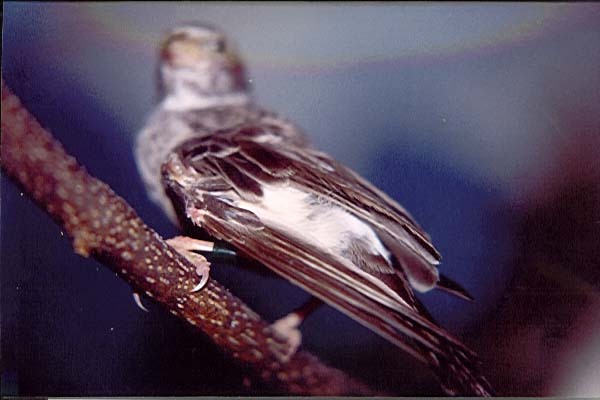 This bird died soon after fledging. 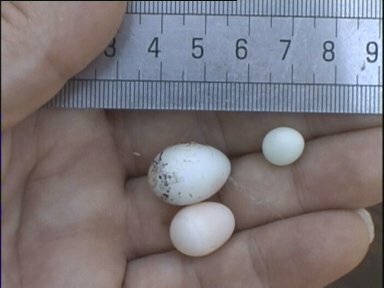 Sometimes cotton wool results in this, when the parents are too quick in starting another nest and are carrying both the nesting material and the food for the young in their beaks. 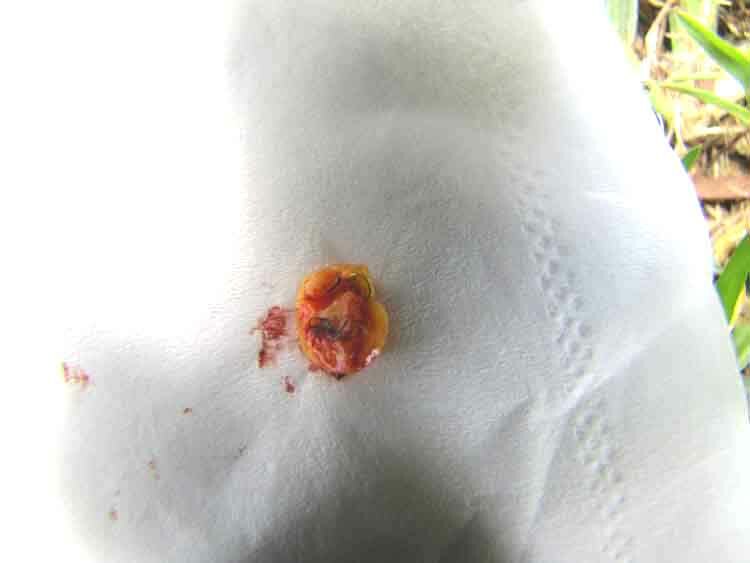 This guy is lucky I was able to (very carefully) pull out every bit of it from deep inside its stomach. 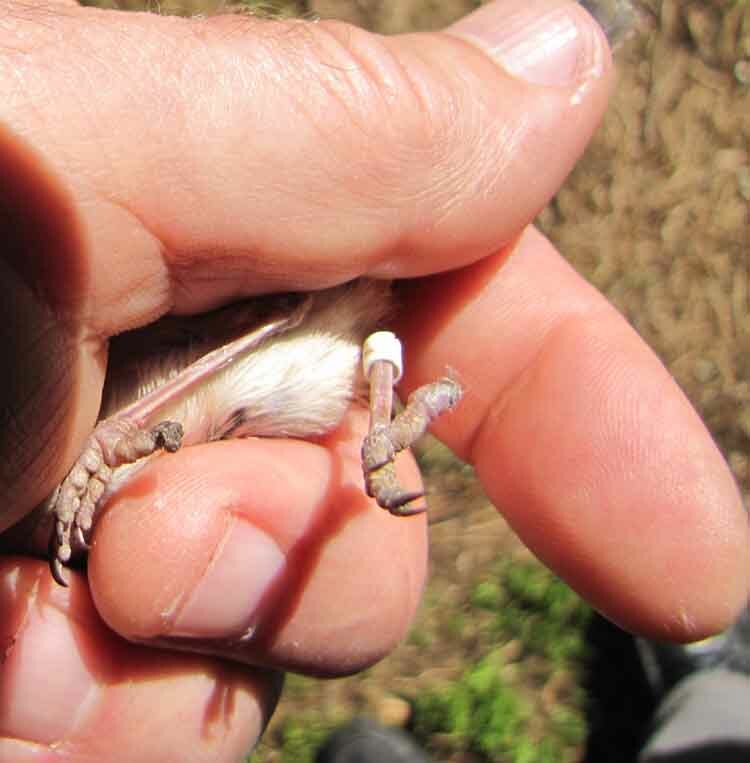 White-winged Wrens are worth their weight in gold! 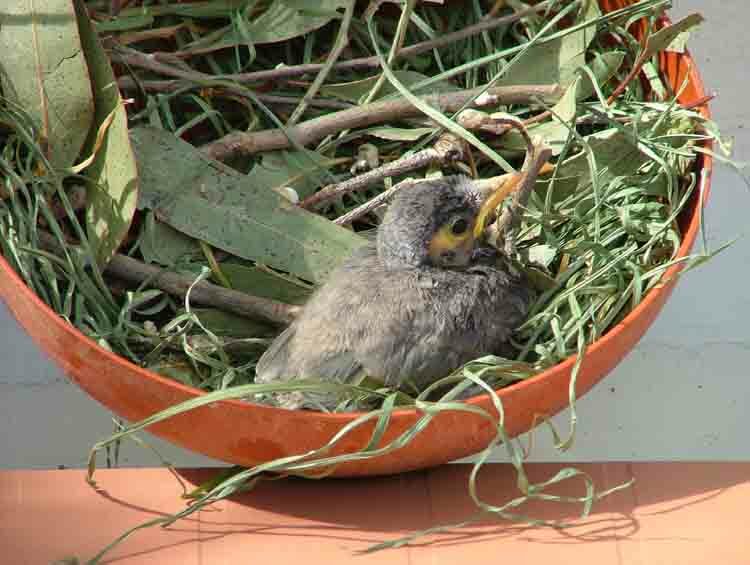 This is another orphan (Noisy Mynah) I found on the floor after a very windy day. This guy will be ready to release in a day or so!